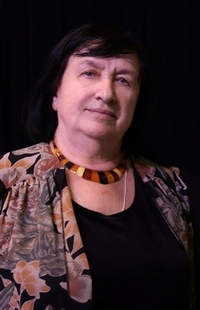 Head of the Academic Choir Department of the School of Arts at the St. Petersburg State Institute of Culture, artistic director of the Concert Choir of the Institute of Culture and the Women’s Choir of the St. Petersburg Rimsky-Korsakov Music College, member of the Union of Composers of Russia and the Union of Concert Musicians of St. Petersburg, artistic director of the “Singing World” International Choral Festival (St. Petersburg), winner of the St. Petersburg Government Prize for culture and art, award winner of international contests, professor. 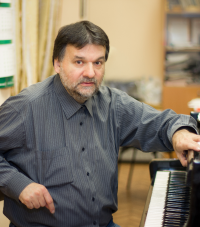 Since 2012 he has taught at the Department of Choral Conducting of the St. Petersburg Rimsky-Korsakov State Conservatory, from 2017 — at the Department of Choral Conducting of the Institute of Music, Theater and Choreography of the Russian A. I. Herzen State Teachers’ University. 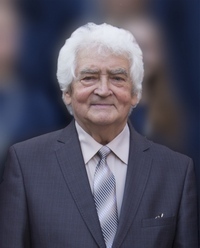 S. Ekimov has repeatedly given master classes in choral music of the 20–21st centuries serving as a member and chairman of the jury of various choral and composition festivals and competitions. PHD of Choral Music, the President of AERCO (the Emilia-Romagna Regional Association of Choirs), a member for Italy of the «World Choir Council», the artistic director of choral competitions and festivals in Rimini (Italy), the artistic director and conductor of the «Musica Ficta» Vocal Ensemble, the main editor of magazine of the IFCM (International Federation for Choral Music) and the editor of the International Choral Bulletin (ICB). 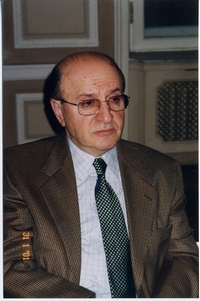 Professor in choral conducting and Head of Conducting Department of the Bulgarian National Academy of Music. 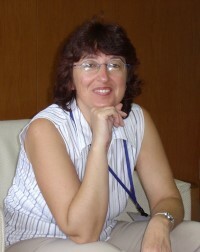 She has conducted The Bulgarian National TV-choir (1986 -1991) and Vassil Arnaudov Sofia Chamber Choir (from 1991). Since 2005 Theodora Pavlovitch is conductor of the Classic FM Radio Choir. The teacher of the Master classes for choral conductors in the program of the 7th World Symposium on Choral Music in Kyoto, Japan. The award of the «Golden Century – Star» — National Award bestowed by the Minister of Culture of Bulgaria, Golden Lyre by the Union of Bulgarian Musicians and several Special Prizes of the Bulgarian Choir’s Union and Classic FM Radio. Currently chief conductor of the National Opera Boys’ Choir and the Mixed Choir of the Estonian Public Broadcasting. Since 1993, Mr. Surva has conducted at Estonian Song Celebrations and was Artistic Director of VIII and IX Youth Song Celebration and XXVI Estonian Song Celebration. A teacher in Tallinn Music High School, University of Music and Theatre of Oregon (USA), Docent at Estonian Academy of Music and Theatre. 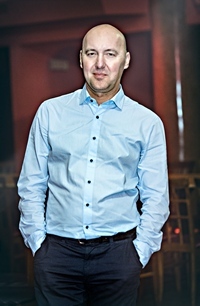 He received the Special Award for Best Conductor at the Tallinn International Choir Festival (2001, 2003), winner of the award «Conductor of the year» choral Association Estonian (2003), winner of the grant of the culture Foundation of Estonia (2002), winner of «the Cultural Foundation of Estonia» (2008), winner of the award by Gustav Ernesaks (2012), winner of the title «Musician of the year» by the Estonian public broadcasting (2014). Since 2001 he is the Chairman of the Association of choral conductors of Estonia and the Estonian society of male choirs. 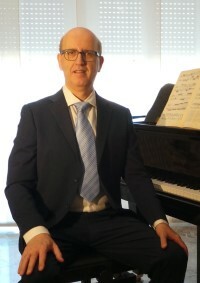 Habilitated doctor of art in Academy of Music in Gdansk, professor at the Faculty of Music Education at the Art Academy in Szczecin, conductor of the Choir «Canzona» of University of Technology in Koszalin, founder and conductor of the Choir «Pomerania Cantat» Child Choral Academy in Koszalin. Awarded with the Silver and Gold Distinction of the Polish Association of Choirs and Orchestras. 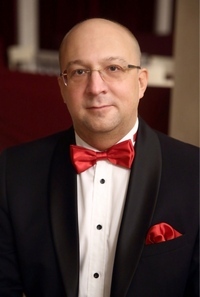 The artistic director of the Baltic Choir Competition «Pomerania Cantat» Koszalin-Słupsk, the President of the Association «Pomerania Cantat». Founder and Director of the State Budgetary Extended Education Center «Joy» for Creative Development and Musical Aesthetic Education of Children and Youth of the City of Moscow, Head of the Concert, Chamber and Alumni Choirs. Winner of the Russian Government and the Moscow City Hall Prizes, winner of the medal and diplomas of the President of the Russian Federation and the medal «For Faith and Fatherland» of the 1st degree, Honored Artist of the Russian Federation. 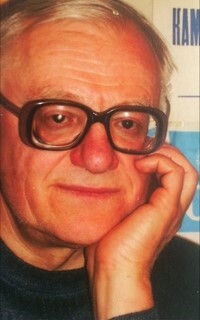 Professor of St. Petersburg State Institute of Culture, Honored Master of Arts of Russia, artistic director of the Children’s Choir of St. Petersburg Television and Radio and the Radio Chamber Choir, the author of more than 200 arrangements for the choir, as well as popular repertoire collections for children’s choir and vocal ensemble, winner of international competitions. Honored Cultural Worker of the Russian Federation, Chairman of the Cycle commission for choral conducting of the St. Petersburg State N.A. Rimsky-Korsakov vocational musical school, author of numerous choral arrangements of folk songs. The People’s Artist of Russia, composer, professor of the St. Petersburg Institute of Culture, President of the Children and Youth Choir World Championship, President of the International Festival of Choral Art «The Singing World», discipline head of «Children’s Choral Performing Art» at the Elena Obraztsova International Academy of Music, Chairman of the Board of Directors of Composer. Saint Petersburg publishing house, a member of the Russian Union of Composers and the Union of Concert Performers of St. Petersburg; winner of numerous contests and festivals. Winner of the St. Petersburg Government Prize. 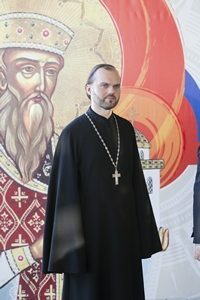 The Chairman of the Council for Culture of the St. Petersburg Diocese, First Deputy, Chairman of the Department of Religious Education and Catechesis of the St. Petersburg Diocese; Associate Professor of the St. Petersburg Theological Academy, director of the Choir of the Clergy of the St. Petersburg Archdiocese, Candidate of theology. The choirmaster, head of the branch of the state budgetary cultural institution of the Leningrad Region “House of Folk Art” “Educational and Methodological Association for Art Education” of the Committee for Culture of the Leningrad Region, head of the All-Russian Choral Society chapter in the Leningrad Region, awarded the public medal “For Glory of the Fatherland” . Instruction adviser of the board of teachers of choral disciplines at the St. Petersburg State institution of vocational training “St. 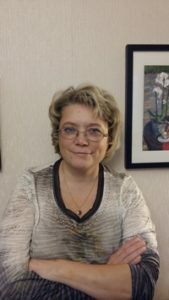 Petersburg Center of Education in culture and art”; artistic director of “Rassvet” choir of the Children’s Art School N 4; holder of a Letter of Merit of the Ministry of Culture and trade unions, winner of international competitions. The Merited Artist of Russia, Head of the “Fundamentals of Academic Vocals» discipline at the Elena Obraztsova International Academy of Music, leading soloist of the State Chamber Theater “St. Petersburg Opera”, winner of the Isabella Yurieva International Competition of the traditional romance, winner of the first prize of the All-Russian Theater Society “For harmonious representation of the vocal and dramatic components in the interpretation of Tatiana’s part in the performance of “Eugene Onegin” by P. I. Tchaikovsky, member of the jury and chairperson of the commission of the International and All-Russian competitions of vocal art. 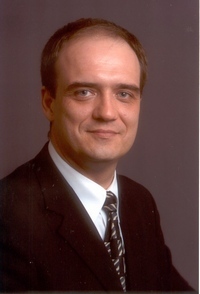 President of the Interregional Association of Conductors of Children’s and Youth Choirs of the North-West Region, Honored Educator of the Russian Federation, Head of the City Methodological Association of Choir Leaders of Institutions for extended education of children, winner of international competitions, composer and teacher.